The weather gods looked down on Charlottesville with favor Friday and Saturday as members of the Class of 2022 moved into their dorms at the University of Virginia. 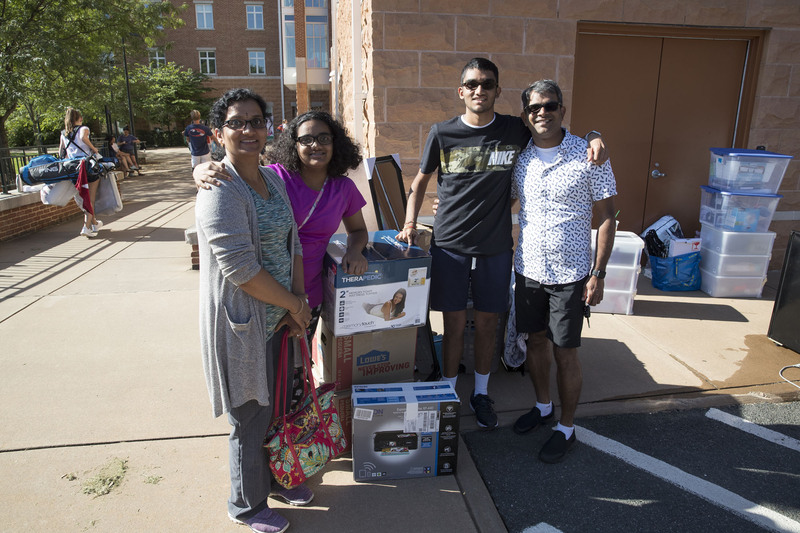 Clear skies and uncharacteristically cool and dry weather greeted students and their families, who pulled up to dorms across Grounds, lifting hatchbacks and unloading refrigerators, mattress toppers, oodles of clothing and tchotchkes to adorn dorm rooms for the year. Suvarna was accompanied by his sister, mother and father, who were all hoisting dorm room furnishings to his third-floor room. Thankfully, Kellogg has an elevator. His mother, Pavani, said it was a bittersweet time. “I’m happy, but at the same time, we just have to get used to it at home,” she said. Father Radha said he was excited, anxious and nervous, all at the same time. “The house is going to be empty and we are going to miss him,” he said. Teja is one of more than 3,000 students admitted to the Class of 2022. It is a distinguished group. More than 37,000 people applied for a spot at UVA, breaking the school record for most applications. Accepted students had a mean SAT score of 1,431, with 93 percent ranking in the top 10 percent of their graduating high school class. 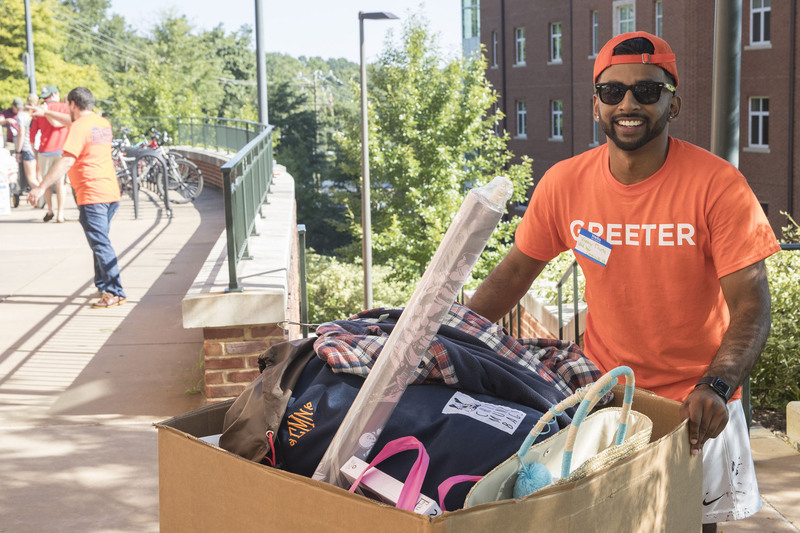 The lobby of Kellogg was bustling with activity, with resident advisers and UVA’s popular “Greeters” available to help with move-in, ferrying luggage to waiting elevators as music pumped. Soleil Reid, the senior resident, stood amid all the hubbub, excitedly welcoming the 192 students who will fill Kellogg’s halls this year. Petite and full of energy, Reid said she was determined to learn everyone’s name. The festive atmosphere and pulsing music also prevailed down the hill at Courtenay House, where enthusiastic RAs sat and stood at a tented welcome table, directing new students to their rooms. 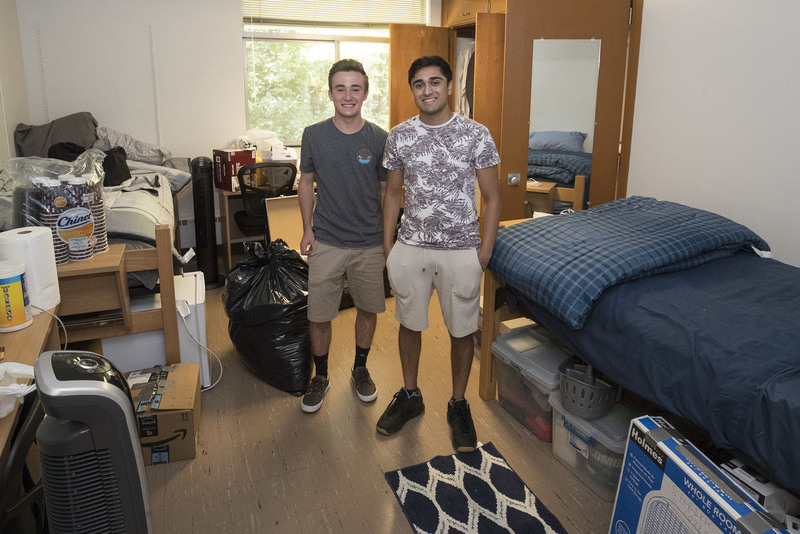 Sahil Parikh of New Jersey, who was just settling in to his third-floor room, said he is looking forward to being independent “and figuring everything out.” He and his roommate, Rhode Island native Patrick Morris, kept in touch over the summer by texting and SnapChatting. Down the street at Gibbons House, Gay Perez, assistant vice president of student affairs and executive director of UVA Housing and Residence Life, and Andy Petters, assistant dean of students, were monitoring move-in. Crowds were thin Friday morning because of a new system. Petters was right. As 11 a.m. came and went, more cars packed to the roofs with boxes and pillows began pulling into the McCormick Road area, where UVA’s “old dorms” are located. As families funneled down narrow sidewalks carrying their students’ belongings, community members stood by offering to register voters. Calvert Moore, a member of the Class of 1990 and her husband were moving their son George into his room in Bonnycastle House. Calvert raved about the Greeters. “This is so nice! I wish we had them in New York,” she said. 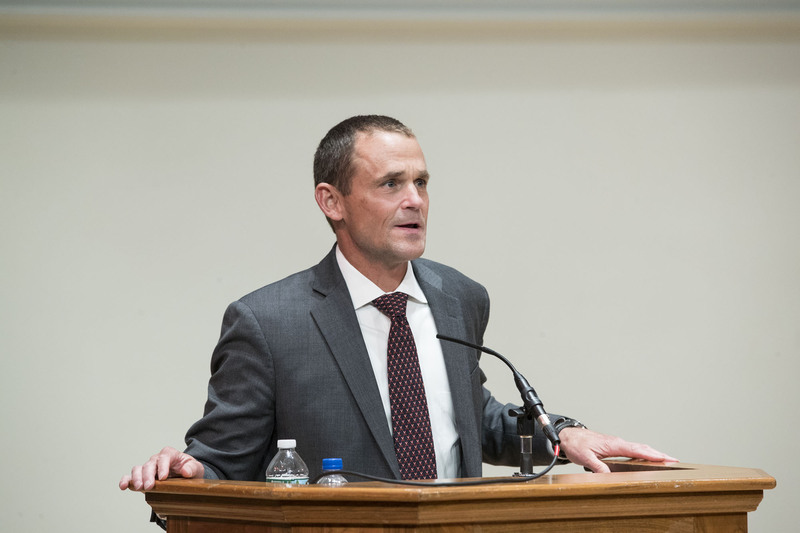 As part of the first-year activities, President James E. Ryan delivered a welcome address on Saturday afternoon to parents in the auditorium of Old Cabell Hall. Ryan, who’d dropped his own son off for college the previous day, shared his aspirations for his own child’s college experience in the context of what UVA has to offer for its newest students. Here’s an additional look at move-in weekend through the posts that students and parents made over the weekend.